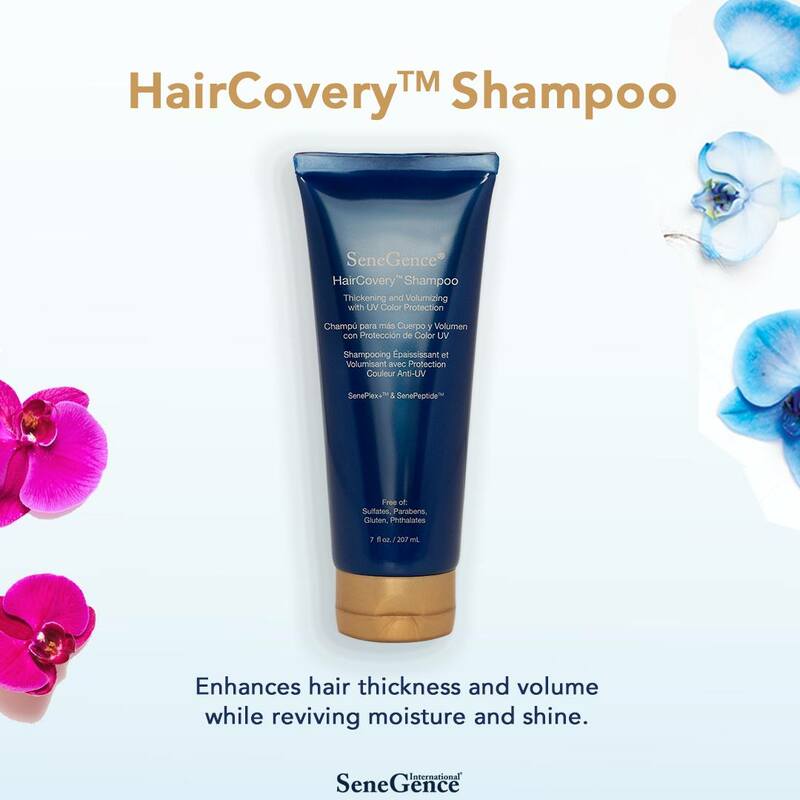 Home Hair CareSeneGence hair care: new HairCovery natural hair care products! 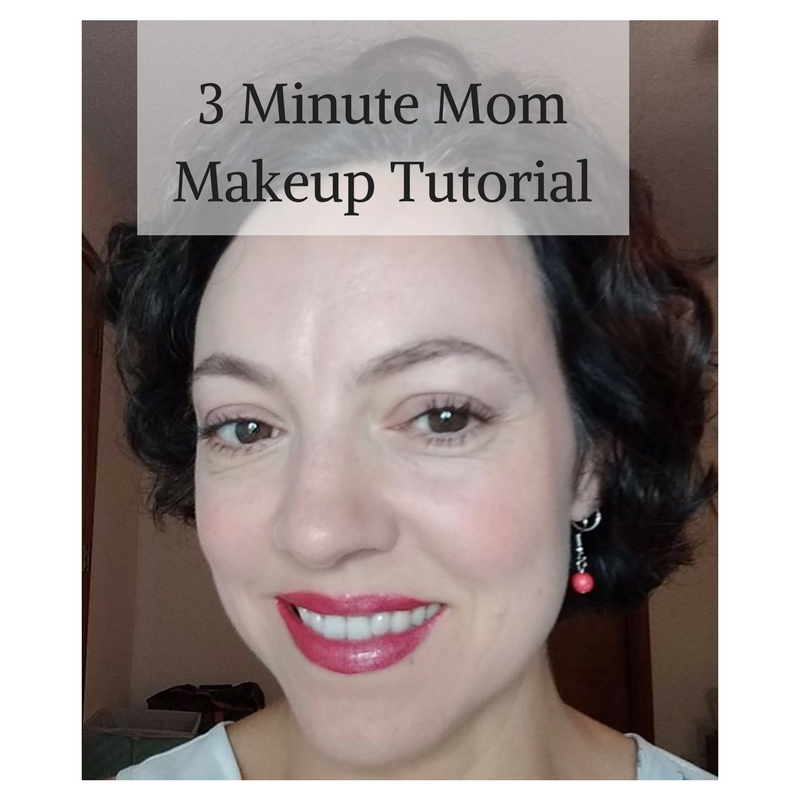 Do you love LipSense and SeneGence skin care and cosmetics? 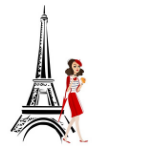 Have you been wondering if SeneGence hair care was coming, I have exciting news! 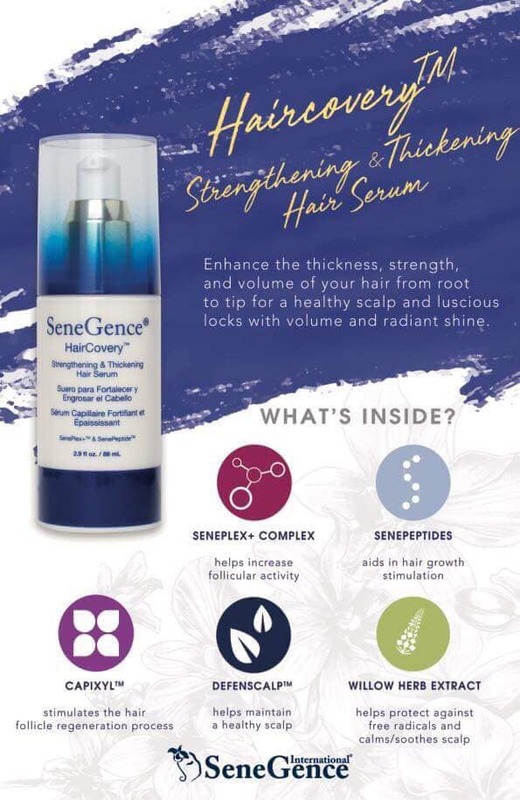 SeneGence hair care is HERE: it’s natural, lengthening, strengthening HairCovery. I’m very impressed by what I see so far. Since we don’t test on animals, our distributors have been using the products for months. And many of them are breast cancer survivors who lost their hair due to cancer treatment. One of which is our founder, Joni. 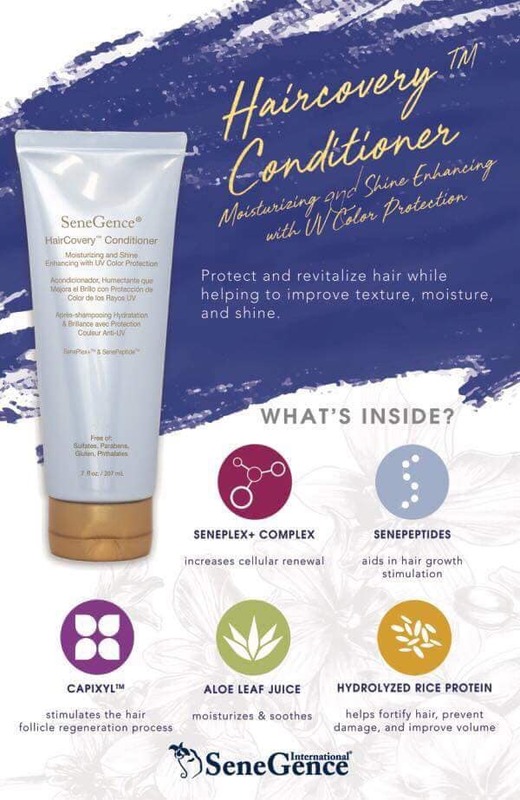 The SeneGence hair care system is simple and consists of just 3 products: shampoo, conditioner and serum. 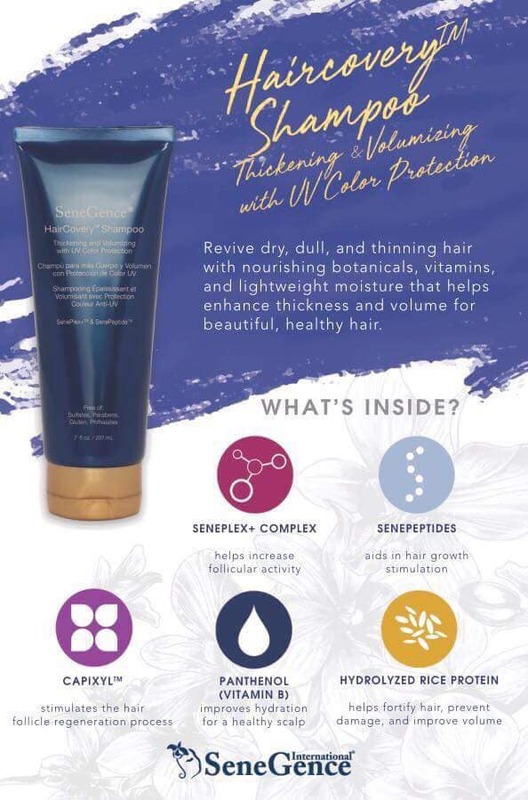 SeneGence hair care is safe and beneficial for color-treated hair, perfect for curls and African hair. 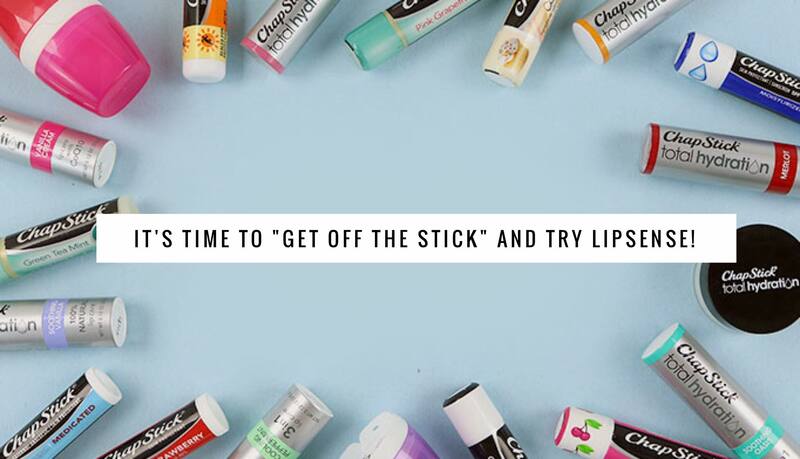 And it’s gluten free, paraben free, silicone free and generally awesome. The collection helps improve volume, shine, and manageability using SenePlex+TM SenePeptidesTM,and nourishing vitamins and botanicals. I have ordered several of each and am so excited to try it myself! Please let me know if you’re interested in trying it too. 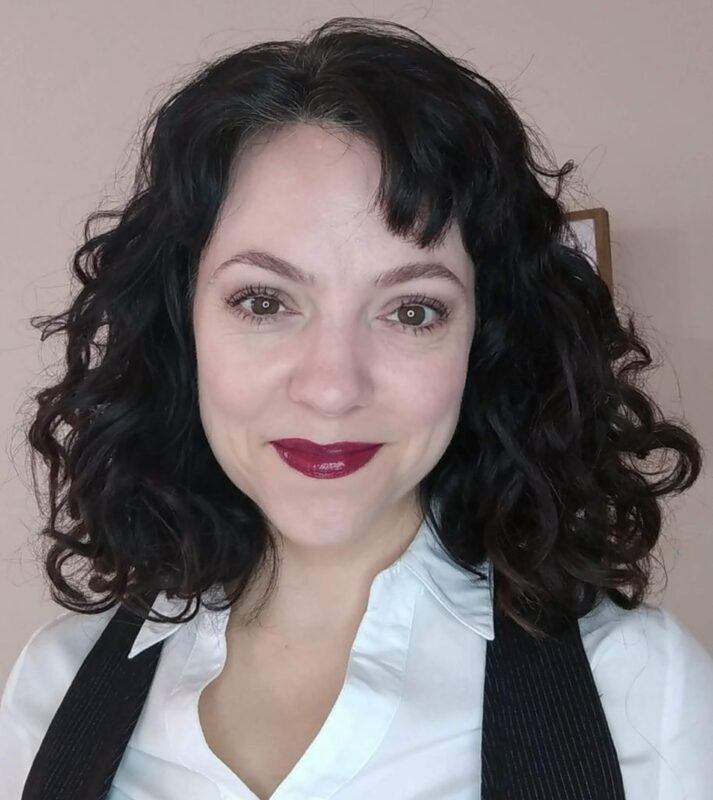 I’m looking for product testers who would like to give me some feedback on the hair care, so right now I’m offering 15% off, no tax and free shipping, PLUS a free LipSense or ShadowSense if you pre-order! Comment below to take advantage of this deal! 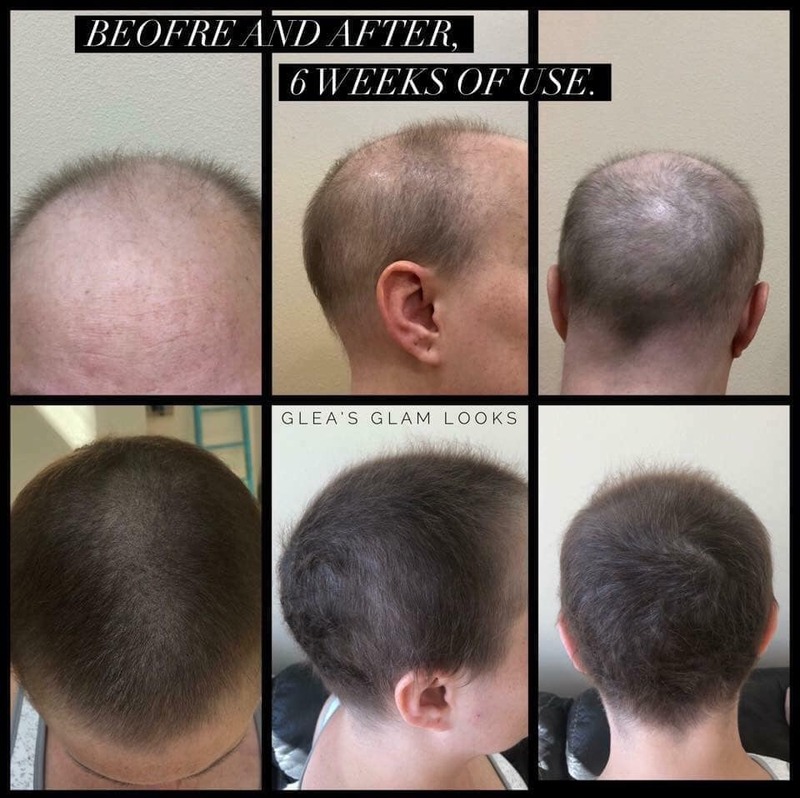 More product details can be found on the SeneGence.com webiste, including complete ingredients listings.Look at these amazing results from SeneGence hair care! 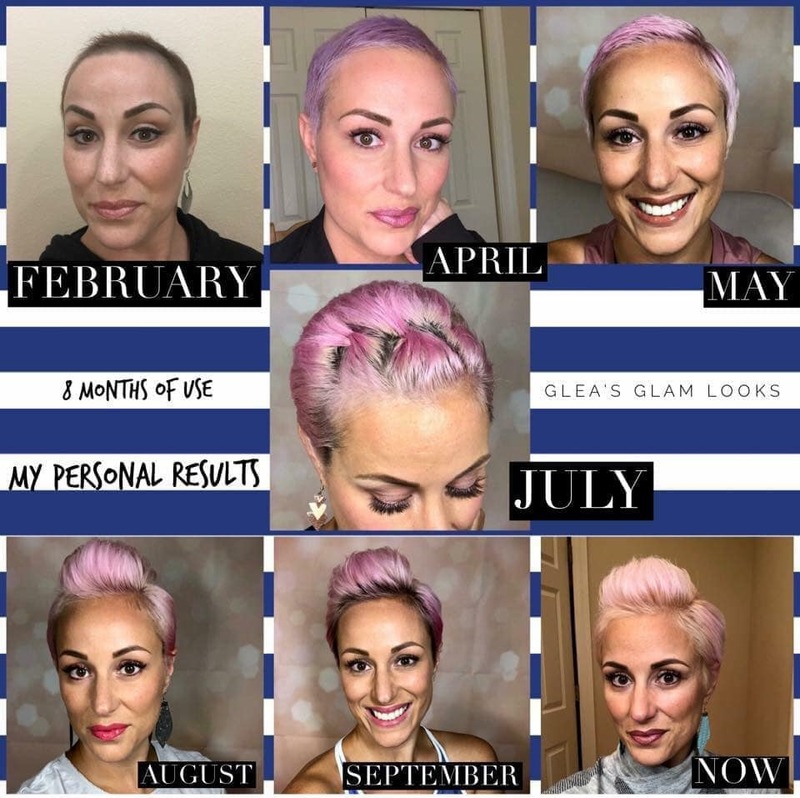 This distributor lost her hair after cancer treatment, and the products are helping her regrow her hair. ​​​​​​​See more about SeneGence products here in my Facebook group! 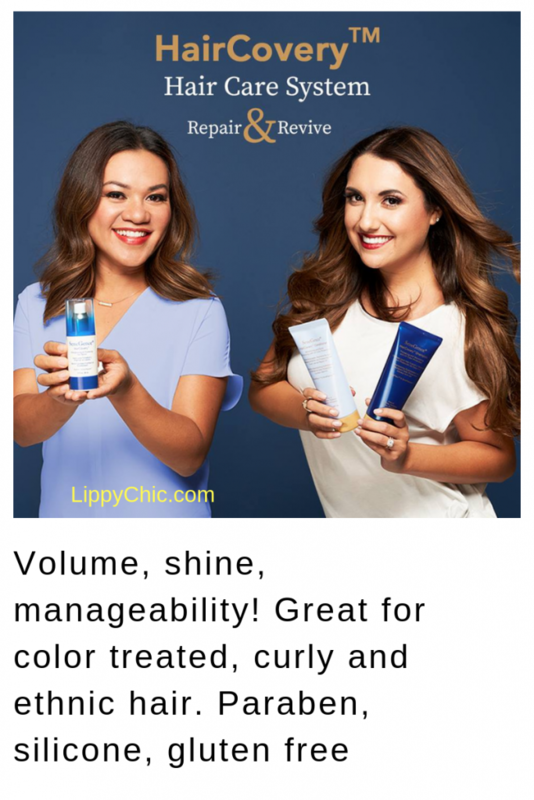 Previous ArticleGluten Free Beauty Products: SeneGence is for you! 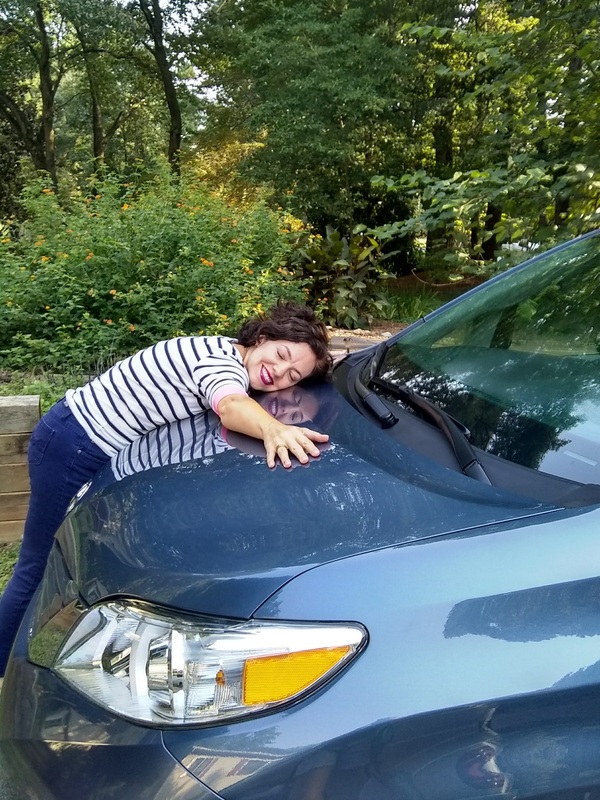 Next ArticleLipSense Black Friday Sale!